John Smith is a Co-Founder at Discounted Sunglasses. John has over 15 years experience in the fashion market and helped elevate Discounted Sunglasses to be one of the most successful online retailers of branded sunglasses in the UK. John lives in Essex with his gorgeous wife and daughter. 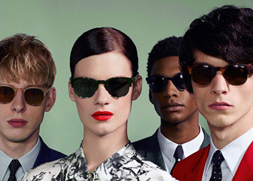 With the sun coming, it's time to start thinking about wearing sunglasses again. So, here are 5 tips for buying the best sunglasses this spring. Where did it all start for one of the worlds most iconic sunglasses brands? To answer that question, first we must take a trip down memory lane to the Golden Age of Flight. Wardrobe favourites go all haute couture as the latest fashion trend focuses in on clothing you really can live and use! Our expert guide on all things polarized, looking at the cause, what benefits are given the wearer and how polarized sunglasses are good for driving. UK kids are at risk of permanant damage to their eyesight if they do not receive help from their parents as UV damage is amassed over time and totally irreversible! Fashion trends from the catwalks of Paris and London influence accessories, belts started bold and cow-boy shaped this season but there is hope, introducing woven wonders! We show you how to match Serengetis awesome Nuvola sunglasses to one of the top fashion trends for winter 2015, meet the mono look! As the Seventies revival hits top gear for 2015 we look at the sunglasses we believe represent this psychedelic decade with all the brash and fringing it deserves! Oakley Skiing Goggles A-Frame 2.0 aid Lindsay Vonn to becoming skiing World Cup wins record holder. Discounted Sunglasses customers nominated their 50 best winter sunglasses to use when driving. We then asked them to choose their favourites and then vote on the Top 10. Puzzled by the vast range of Ray-Ban aviator sunglasses? 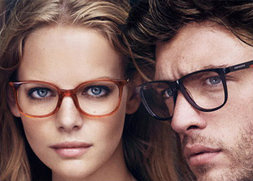 Heres our guide to ease the pain and make choosing your perfect pair straight forward. 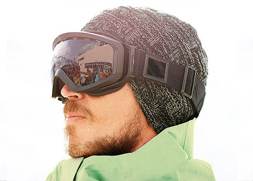 Get to grips with the best ski goggles for you. In this guide we look at all the deciding factors to help you chose the best pair to ensure an informed buying decission. Exposure to UV can cause serious damage to your eyes, in this guide we look in depth at UV and how you can avoid damaging your precious eyesight. The internet is a breeding ground for unscrupulous individuals. We explain what to look for to ensure your hard earned cash buys genuine designer sunglasses, not knock-offs! Buying prescription sunglasses can be a costly affair, in this guide we take a look at how to reduce this cost and get top designer frames to boot! 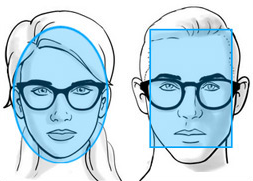 Understanding your face shape is key to buying the correct sunglasses for you, with so many designs and shapes to choose from we explain why this is a great starting point.